Tickets for the 2019 screenings are on sale now! or print the code and bring it the night of the event. suitability of the film content for young people. 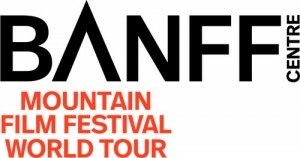 Each November, The Banff Centre hosts the Banff Mountain Film Festival, celebrating the spirit of adventure and the mountains! The top films from that festival go on tour, and Chippewa Nature Center is proud to host one of the stops on the World Tour. See some of the best mountain films of the year prior, featuring the people who live, play and enjoy those area through high adventure, humor and a love for the out-of-doors!